Matt Strap treats elbow and knee tendinitis injuries. Features a unique Spectron rubberized buttress that stays in place. Doesn't slip or slide around - remains tacky. 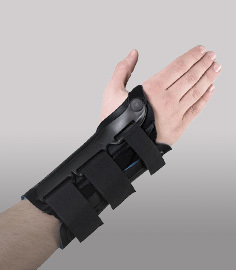 The Matt Strap #3704 provides shock absorbing pain relief for the elbow or knee with a unique rubberized buttress that's guaranteed to stay in place.  The strap features a dense foamed silicone buttress covered with a tacky Spectron rubber that resists sliding out of positioning due to perspiration and/or aggressive arm movements during sports. It's literally tacky to the touch - there's nothing out there like it. The Matt Strap has a simple Loop and lock D ring closure for securing the strap. Simply loop it back on itself to produce the desire level of tightness for focused compression over the shock absorbing buttress. For tennis elbow pain, the product is typically referred to by physicians as the Matt Strap tennis elbow strap while for patellar tendonitis and "Jumpers knee", it's often referred to as the Matt Strap Knee - Shock Absorbing Band. It's the same product and can be used to treat tendonitis of the elbow and knee. Feel the difference the Matt Strap can make in your injury. 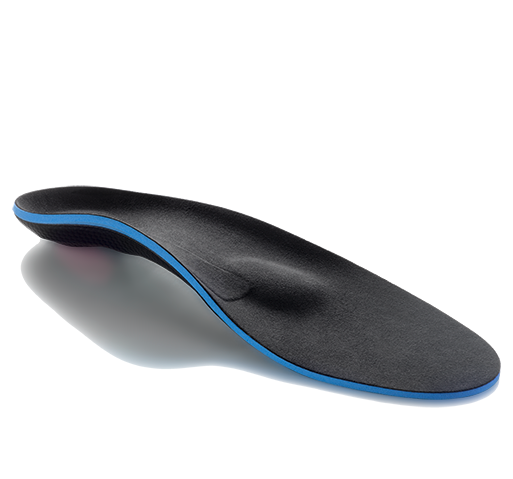 Utilizes a unique composite buttress of foamed silicone with a Spectron non-slip backing. Buttress feels tacky and stays in place better than other brands. Matt Strap provides focused compression over the buttress to relieve pain. One version (model #3704): treats tendonitis symptoms of the knee and elbow. Well suited for aggressive athletic use. 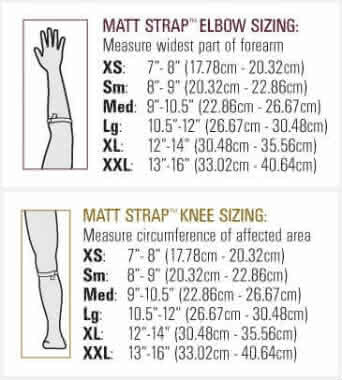 Available in six sizes to fit every size forearm and knee - see sizing chart. Recommended Manufacturer HCPC: L3701 (for tennis elbow use). Medial Epicondylitis (golfer's elbow/little leaguer's elbow). Features Spectron rubber for a tacky feel under the buttress. You will be immensely satisfied with this product. 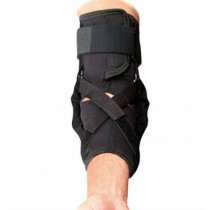 It's really a shock absorbing strap that's useful for patella tendinitis and knee pain. The loop & lock design provides focused compression over the shock absorbing buttress. I am a huge football fan and so I have seen a lot of products similar to this one on many of the football players. I had done a decent amount of research about this product and bought one for my son who plays college football. My son was surprised how much a little product could help out his game. I also bought one for my tennis playing wife. Even she loved how the product worked!